Always bring cash and bank card with you! It’s always good idea to bring some cash when you first come to China. Bring RMB (Chinese Yuan) would be the most convenient choice. Besides, you can either bring USD or EURO. The cash of USD or EURO can be exchanged into RMB easily at any branches of the Bank of China. You can even exchange your cash at the airport of Beijing, Shanghai, Guangzhou, Qingdao and some more cities for the branches of many official banks are always available there. Please note that your passport is requested every time for money exchange in China. Why not exchange your cash into RMB before your departure to China? Although not every bank in your country can exchange the currency at a favorable and official rate, there are some formal and standard banks which offer the service properly in every country. Namely, Standard Charted Bank, Bank of China, Hong Kong and Shanghai Banking Corporation (HSBC) are some of the best choices for international currency exchange and oversea money transfer; they have many branches in most of the countries in the world. You can exchange or transfer your money through these banks without any hesitating. How can I access my money in China? ATMs can be found easily in Chinese cities with many of them accept international bank cards. The most reliable way to get money in China is to use bank card linked to an international network like Visa and MasterCard though the bank charges you a small processing fee for international money withdraw. Credit cards are widely used at formal hotels, brandy restaurants large department stores as well as franchised convenient stores in Chinese cities; however, there are many markets or stores offering good-quality stuff at lower price but they don’t accept your credit cards. The same story is with Traveler’s Cheques so don’t rely too much on them. How to pay the fees after you reach your university? Definitely, it would be the most secured and convenient way to pay your tuition fees and accommodation fees before your departure to your university’s international account for that the university will arrange everything for you fully and completely in advance. Of course, there are also cases that some students would like to pay the fees to the university after your arrival in China. About making the payment on arrival, you have to remember that most Chinese universities only accept payment in cash (RMB), so please do the money exchange before your registration. In Cash: This way is accepted and welcomed by all the Chinese universities. SICAS Suggestion: this is the best choice and will bring you no troubles. Traveler's cheques: Some universities may accept traveler’s cheques. Be sure to contact service@sicas.cn or check with the school in advance. You can also cash your traveler’s cheques (sold by international commercial banks and traveler’s cheques companies) at a branch of the Bank of China if they are refused by the school. SICAS Suggestion: this is not the best choice. Credit cards: Some universities accept payment by credit card, but a service fee of 3%-4% will be charged. Most credit cards with international networks like American Express/Visa/MasterCard/Cirrus can withdraw money from Chinese ATMs who accept international card. A small fee will be charged when use this service. SICAS Reminder: This is not the best choice. Universities don’t accept cards payment directly. You will have to go to bank or ATM to withdraw money and it is not sure that which bank will accept your card. Western Union: Western Union transfer allows instant money wiring to and from 100 countries. It only takes less than 1 hour for you to receive your money from most of the countries in the world through Western Union. The service charge is much higher. 2. Please note that there are some cases when international bank cards are not accepted by Chinese banks because they don’t have any cooperation. Check with your credit/debit card provider for specifics before leaving your home country. Notify your bank that you’ll be in China because foreign banks sometimes frozen bank cards if they see unexpected overseas service to prevent fraud. The late payment of tuition fee may lead to the suspicion from your university about your financial status thus they may not support you to get your residence permit. Then it will be an illegal stay for you if you can’t get a resident permit. Please be aware of the deadline of tuition payment. 3. Also, many banks in China has a limit on how much money an international bank card can withdraw a day so please plan ahead and inform the bank the exact amount that you are going to withdraw at least one day in advance. So that they can prepare for you. Lastly, be careful while using the West Union because a slight mistake of spelling will lead to the failure of money transition. It’s convenient and necessary to have a Chinese bank account. 1st, Chinese bank cards are accepted throughout the country and cash can be withdrawn without a fee. 2nd, if you lose your card or there is a problem with your account you can fix the issue efficient by yourself rather than having to make an international phone to your families. 3rd, your parents can transfer money to your Chinese account (if you have open the international service). Meanwhile you can also withdraw a big amount of money in RMB directly from your Chinese account, if you have made an appointment in advance with the bank. However, the Chinese bank may have problems with an international card to withdraw the RMB directly if there is foreign currency in your account. Generally speaking, there are two types of banks in China. Firstly, the state-owned commercial bank such as the Bank of China (BOC), the China Construction Bank (CCB), the Agricultural Bank of China (ABC), and the Industrial and Commercial Bank of China (ICBC) etc. City commercial banks are founded on the basis of urban credit cooperatives. Secondly, there are increasing numbers of foreign banks open branches in China nowadays, namely, the HSBC, Citybank and Standard Chartered Bank are most common ones. Opening a bank account in China - especially a Chinese yuan-only account - is a very straightforward process. Banks like the Bank of China, China Construction Bank and the Industrial and Commercial Bank of China have branches all over the country. Just go to the bank you’d like to get an account with and present your valid passport and fill out an application form. The entire process takes about 30 minutes. Transfer money from abroad to your Chinese account. Not all the bank has English service, make sure to take a Chinese friend to go with you if you want to transact advanced business. 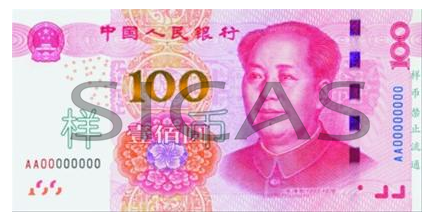 Fake money is relatively common in China so it’s important that you can distinguish it from real money. You can find the detailed instruction of how to distinguish the fake money in all Chinese banks. Refuse to accept fake bills on the spot when someone give it to you, otherwise there is no chance to get your real money back. If you receive fake money from an ATM (though rarely happens), call the service number without leaving the security camera of the ATM’s. The bank won’t replace your fake money if you have left the front of the ATM, because they will assume that you exchange the money. Don’t attempt to use fake money because it is legally able to sequestrate the bills and hand over them to a bank by anyone who notices it is fake money. Don’t feel shy to check about the money you received as most Chinese will do the same when you hand them money. It is not offensive if you refuse to take money that is torn or in very bad shape, as this kind of money may be refused by others and it will be difficult to spend.